Spantech has designed and built a new COLA for the Glenvale Christian School in Toowoomba, Qld. The tricky sloping site allowed Spantech the opportunity to create an unusual split-level design. The games level features a mini netball and futsal court, plus a full sized volleyball court. Read more. The College originally went to tender seeking an extension to an existing structure. Spantech delivered an alternative solution to provide a complete new structure for less than the extension budget. Read more. 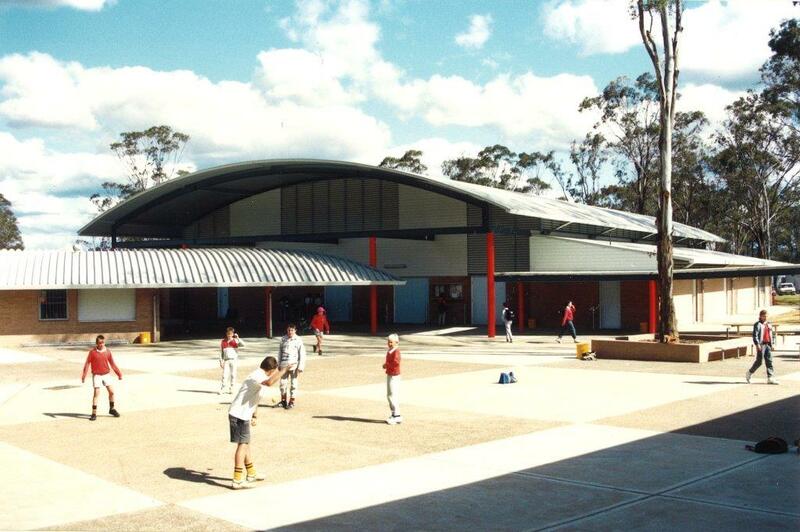 Spantech was contracted to provide the engineering design, footings, structural steel, roof, insulated ceiling, gutters and downpipes. Read more. Spantech supplied the unique roof-top shade structure to the Bernadette Centre at the Lourdes Hill College. Read more.